The unprecedented access to other humans that technology provides has ironically freed us from engaging with them. Thanks to social media, we can know a campaigning politician's platform; an avid traveler's restaurant recommendations; and the daily emotional fluctuations of our friends without ever even picking up the phone. According to social psychologist Adam Waytz, our increasingly human-free lives come with a serious cost that we've already begun to pay: the loss of our humanity. Humans have superpowers. More than any other psychological stimulus, our presence can make experiences feel significant, inspire moral behavior, and encourage action. Recent studies suggest that we even have power over mortality--the survival rate of individuals with stronger social relationships has been found to be twice as high as those with weak relationships. The Power of Human shows us how to rehumanize and harness these unique abilities to improve our lives, beginning with our jobs. The remedy for the dehumanized worker is twofold. Employers, Waytz argues, must instill humanity into work by capitalizing on distinctly human skills, especially sociability and variability. Meanwhile, workers need to put to rest the idea that you are what you do and instead detach their personal identities from their occupations. Waytz offers a similarly science-based method to counter the rising threat that technology poses to our humanity, outlining how we can design human-machine partnerships that optimize the strengths of both parties. Finally, he reveals how, by humanizing intimacy and conflict in unexpected ways, we can strengthen relationships with both our friends and enemies. 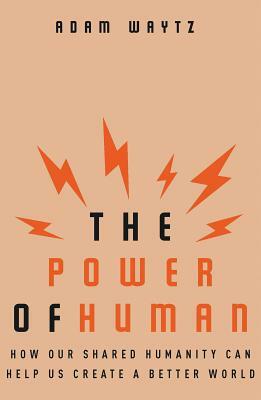 Essential reading for individuals and institutions alike, The Power of Human explains how we can solve one of our time's biggest problems by better utilizing the influence we have on one another.